4Y series balance is an optimized modern device which features an option of automatic level control (LevelSENSING) as one of numerous functions. The practical effect of balance customization are individual user profiles and gradable permission levels for access to balance menu.Programmable proximity sensors offer wide range of possibilities: zeroing, tarring, printout. 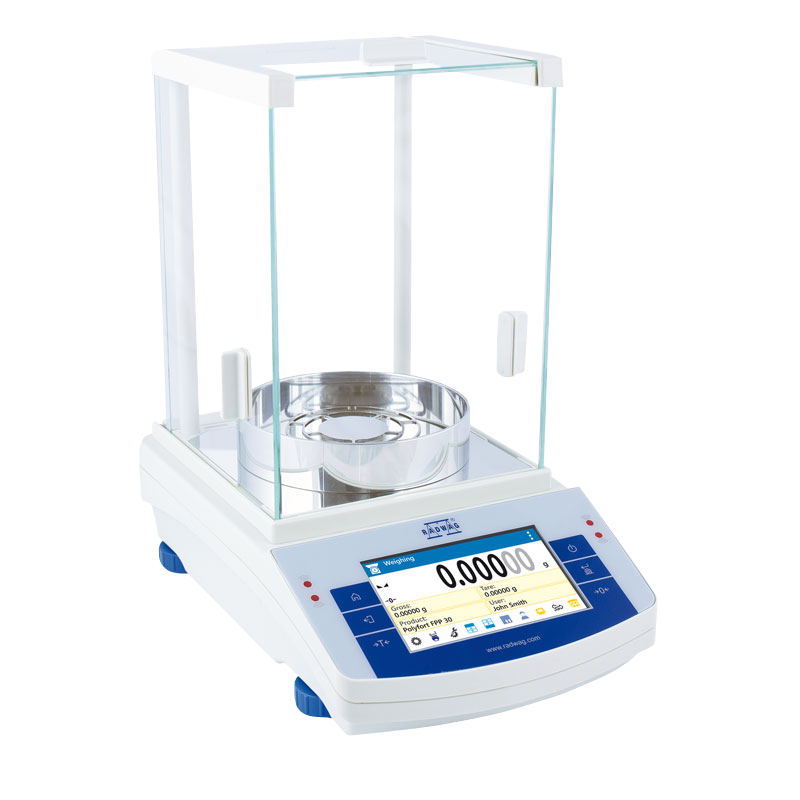 Several functions such as differential weighing facilitate multi-stage mass control of one and the same sample subjected to various processes. 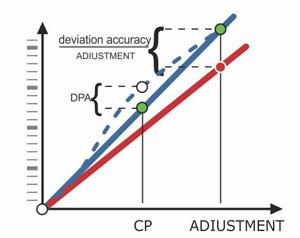 Pipettes calibration function is an ergonomic tool designed to calibrate and control piston pipettes with the use of gravimetric method. MEDIA module, as one of the greatest 4Y series assets, provides the user with an on-screen help and support. Owing to security system and possibility to document the process by means of printouts (standard/editable), the 4Y balance meets requirements imposed by GLP/GMP systems for various industries (pharmacy, petrochemistry, environmental protection). The 4Y series features reliable measuring system housed within a tight casing. With this feature, the balance provides accuracy and fast measurement for any working environment. 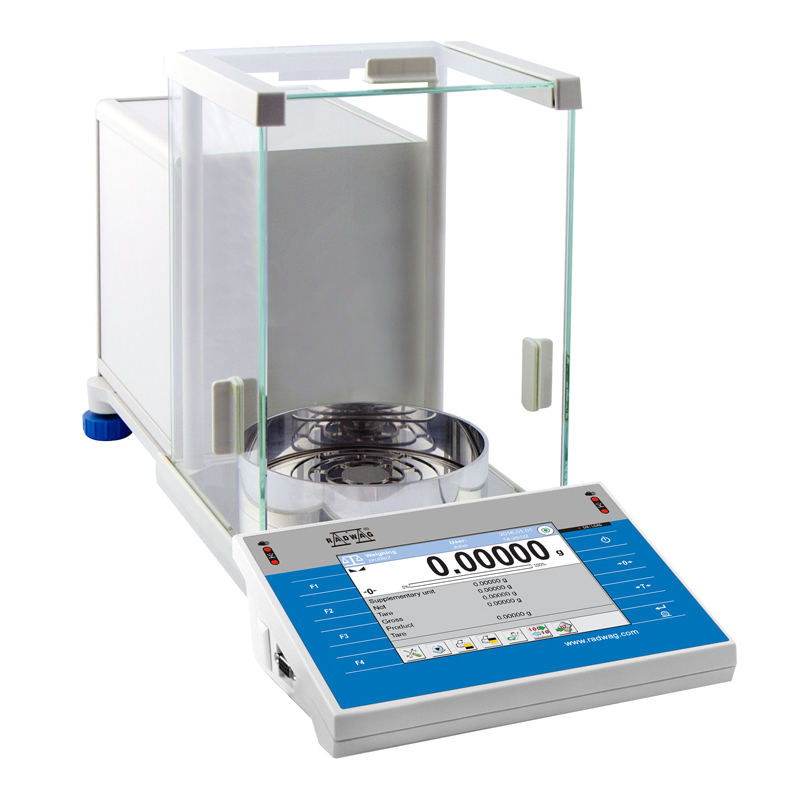 DPA SYSTEM (Dual Point Adiustment), which is the great novelty of RADWAG analytical balances, guarantees perfect linearity even for challenging ambient conditions. DPA is a standard solution of the XA.4Y series regardless of the reading unit value. 4Y balances offer modern hardware and software. In-build programs, Windows Embeded Compact 7 operating system, Flash memory, Double Hardware system guarantee fast measurement and reliability when it comes to data acquiring and processing. The 4Y series comprises 5,7'' colour touchscreen providing ever more increased balance operation functionality and even more practical results presentation. Complex databases allow measurement record along with printout and export option. The system supports 13 languages. Measurement accuracy is guaranteed with an adjustment procedure carried out using an internal adjustment weight. This fully automatic process is controlled by a module intended to diagnose ambient conditions change (on-line). Adjustment processes (internal and external) can be performed in accordance with a specially designed schedule. 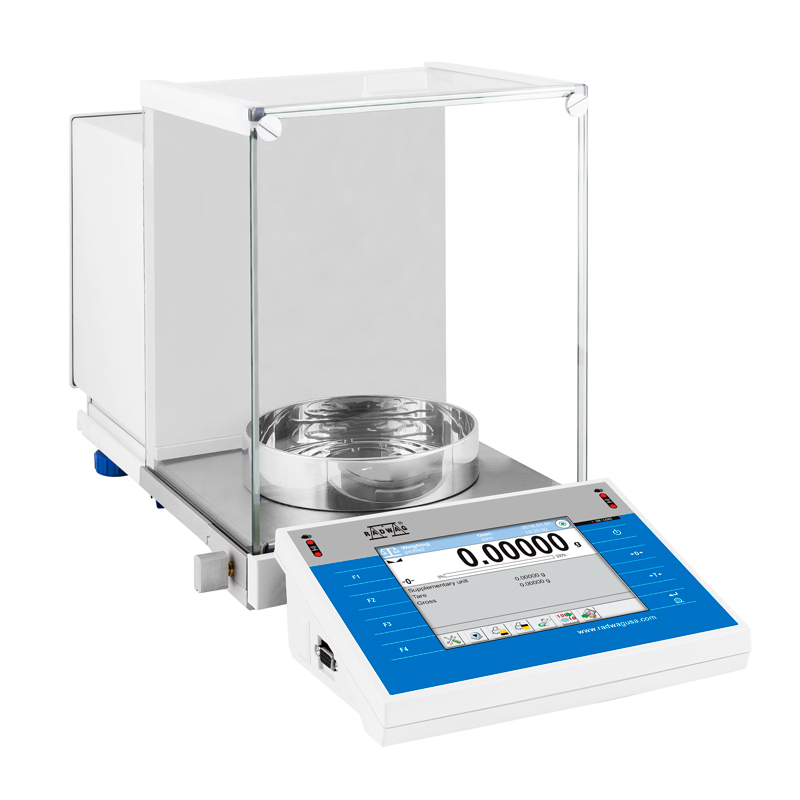 4Y series is a modern weighing device, especially useful when the measurement requires perfect accuracy and high speed. Recommended for measurements with d=0.01mg and wherever heavy air dra s occur. Using USB port it is possible to exchange and archive any informa on, besides the port allows you to copy your balance parameters. Proximity sensors stand for various ergonomic solu ons, they facilitate remote control of func ons such as tarring, zeroing, printout. Air pressure, temperature and humidity are parameters measured on-line, signalling system informs when their maximum and minimum values are out of range. Applica on: removing electrosta c charges from samples, adjustable opera ng power, various op ons of load emission type (plus, minus, both). Rt - net weight, * Repeatability is expressed as a standard deviation from 10 weighing cycles, **Balance with Movable Range function **** Power supply of terminal for wireless transmission version of XA.4Y.B The above parameters values have been determined for standard laboratory conditions. Owing to ambient conditions influence or/and balance setup the above parameters may vary for environment other than laboratory. Impact printer - Zebra LCD „WD-5"
DJ-02 Anti-static ioniser Cable RS 232 (balance - printer: drukarka Epson, Citizen) "P0151"